Hello, I’m Susie Ennis and I am passionately committed to helping people love their bodies, and love their lives! Too many of us stuggle feeling their bodies are not ‘good enough’. I know! I was one of them. Growing up in a very athletic family – and having no where near a typical ‘athletic’ body type – I struggled with a healthy body image. In combining what I have learned from various sources and applying these tools to my life, I am releasing weight, and loving my body as I do! You can too! After receiving many inquiries as to what I am doing, I have decided to put together a 6 week online program suitable for all body types! It encompasses nutrition, exercise AND mindset tools to bring success! I have yo-yo dieted, struggled through various cleanses/ detoxes, and tried many different exercise programs – even competitive sports, as I was determined to push through regardless of what I looked like. However, the results were not sustainable. It wasn’t until I found this unique combination to see results, and I feel awesome! I believe in creating relationships based on trust. I show this by doing what I say I will do, and usually over delivering on what I promise. I am a dependable and active listener who takes the time to get to know my clients to prove I am accountable and worthy of their trust. I set high standards for myself as I continually set and achieve my goals. 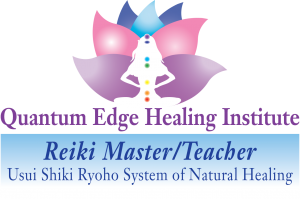 If you are looking for a Mindset Coach that truly has your best interest at heart, and can guide you to address your body image, stress, or even heal then you’ve come to the right place. As I mentioned, I had similar worries and concerns and have applied these tools and techniques to my life. But not only for me, I have guided my clients through these same techniques helping them achieve remarkable success. My mission and commitment is to help others apply these tools to their lives so that they too can love their bodies! Similar benefits await you when you decide to invite me to serve you in the powerful ways that I can support your success. It would be my pleasure to guide you to achieve the results you desire and/or the life you imagine through our coaching sessions together. Let’s continue the conversation in the manner that suits you best. Reach out today by email at Susie@SusiesInsigths.com. 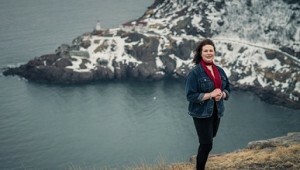 Susie lives in St. John’s, Newfoundland Labrador, Canada, with her partner, Rick Coish. She loves the outdoors, and especially water sports including fixed seat rowing, kayaking, sailing, and swimming. When not on the water, she can either be found hiking the trails, or working on her businesses. Weekends and holidays are typically spent in Tors Cove. When things get cold outside, she can be found at the Curling Club, or sometimes in Arizona visiting family. Interested in my services or just have a question? Feel free to reach out anytime. © 2019 Suzanne Ennis. All rights reserved.